The sell-side and buy-side disconnect regarding consolidation of the buy-side’s trading activity will result in budgeting and technology shortfalls. Boston, May 31, 2016 – The last decade’s global explosion in trading venues, increasing electronification, investor demand, and mounting regulation are placing increased pressure on firms’ trading systems. Meanwhile, the 2009 G-20 mandates push both a new pragmatism and increased costs of capital, making multi-asset trading appealing and, in some markets, a necessity. 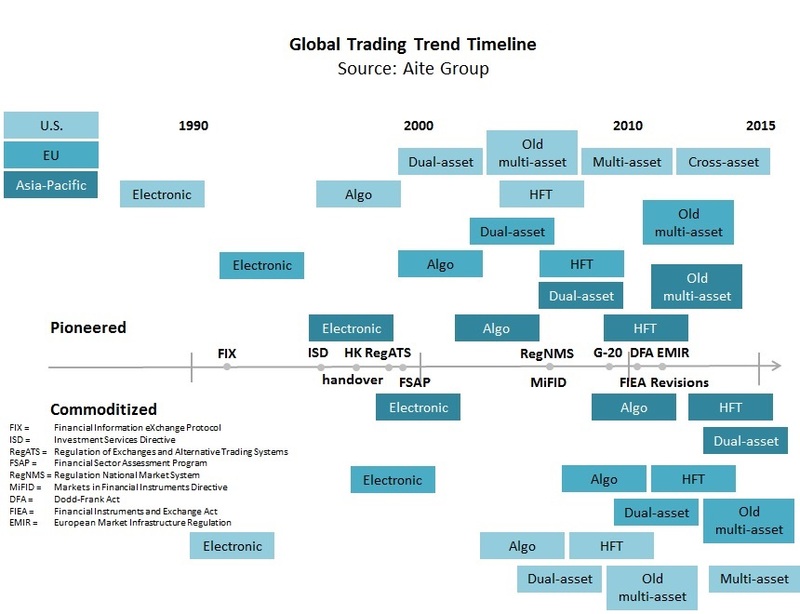 What is a trading system vendor to do to navigate the new multi-asset terrain? This report examines the proliferation of the modern multi-asset approach from the vendors’ point of view. It is based on an Aite Group quantitative survey conducted in Q4 2014 and Q1 and Q2 2015 and Aite Group qualitative phone interviews of trading, product management, technology, and C-level executives engaged in or managing institutional trading across multiple products and asset classes. It is the third in a series on this topic: The first details the sell-side’s POV on the global market structure, and the second examines the buy-side’s POV. This 45-page Impact Report contains 36 figures and two tables. Clients of Aite Group’s Institutional Securities & Investments service can download this report. A New Story in China’s Equities Market: Bull Market or Bull Trap?